We tried a couple unusual things this weekend that turned out to be a lot of fun.  The first was Opaque, a restaurant where you eat entirely in the dark. The servers are blind, so they’re well equipped to guide you to your table and orient you to plates and silverware you can’t see. You can order from a menu, or you can go the “mystery” route and try to identify whatever the chef decides to serve you. The idea is, of course, that losing your sight will heighten your other senses. It’s a gimmick, but it’s an interesting one, and it mostly delivered. The food was good, if not great, but the total absence of light definitely made us pay more attention to everything, including each other. We may not make it a habit, but it was a great experience. 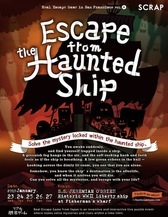 Next came Real Escape Game: Escape from the Haunted Ship. It’s part scavenger hunt, part team puzzle solving, and part interactive theatre a la Sleep No More. We filed into the cargo hold of the storied S.S. Jeremiah, formed teams, and then the lights died and the ghost story started. We scrambled to find clues, solve puzzles, and decipher riddles hidden in videos and performances and other unlikely places so we could finish the story. It was a lot of fun. 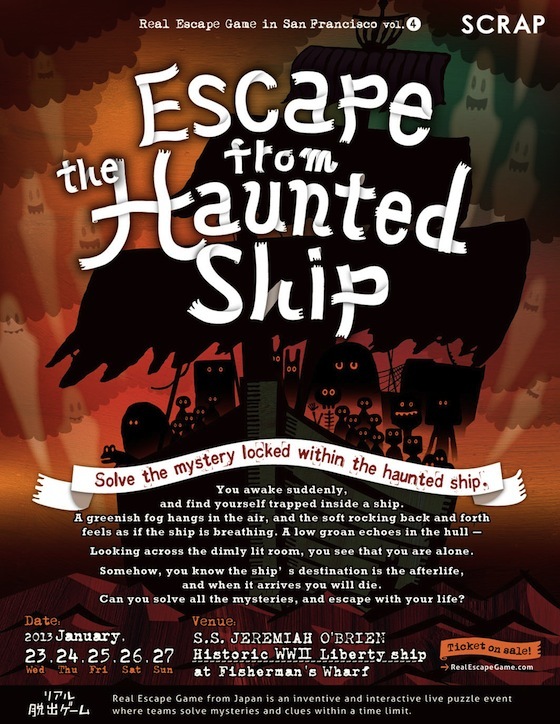 The word teasers and number puzzles and logic games were a bit predictable, but the props and acting and hints in unexpected places took it up a notch, and they played the “haunted ship” ambience to the hilt. They do other games too. Escape from the Mysterious Room comes highly recommended, but tickets are almost gone. Hopefully they’ll run more in the future! My name in Yushi, and I would like to inform you that SCRAP Corporation, pioneers of Real Escape Games around the globe, is releasing their very first foreigner-friendly versions of the original escape room experience! At popular tourist destination Asakusa, Real Escape Room ASAKUSA, will be conducting two of SCRAP Corp.’s latest titles, “Escape from The RED ROOM” and “Escape from the Haunted Manor”, in both English and Chinese starting 10 November 2015. In addition, SCRAP Corp.’s collaborative edition with Tokyo Metro, “Tokyo Metro – The Underground Mysteries”, will be made available in English and Chinese as well! I would like to provide you with the official press release, so it would be great to hear back from you such that I can attach it for you! A reply indicating your attendance, preferred date and time would be greatly appreciated. Should these times be inconvenient for you, do feel free to let us know and we will make arrangements for you to come down on another day. For those unable to make it to the media sessions, we would be happy to provide images and other materials instead for your reference, so please feel free to contact us if you are interested.